Two Christmases ago we got these blurry pictures with our dog, Jake. Last Christmas I was 8 months pregnant. 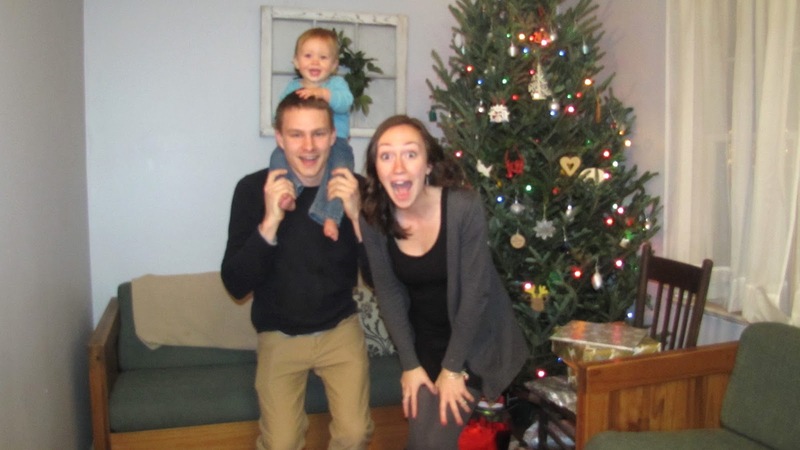 And here we are, having a blast taking more blurry pictures because staged, fancy family pics are over-rated. 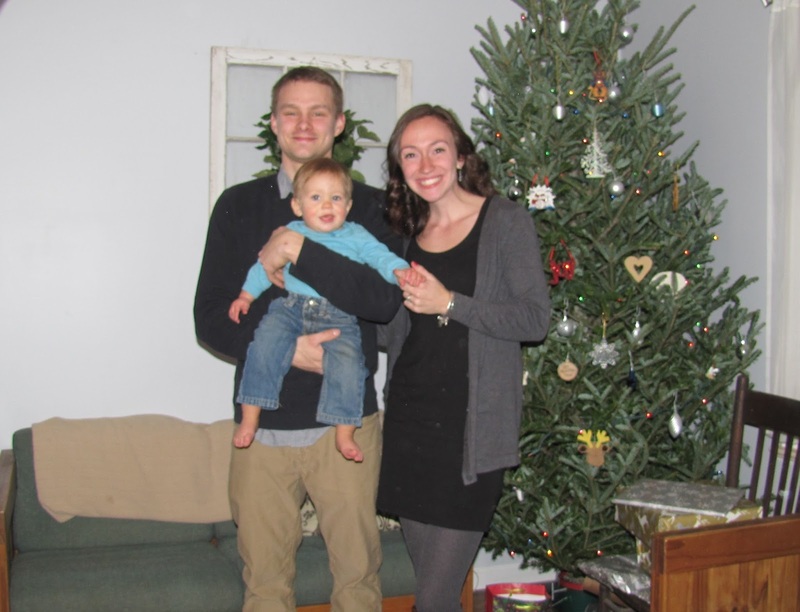 Devin and I got home from date night and decided to take a quick family Christmas picture before putting Aiden to bed. 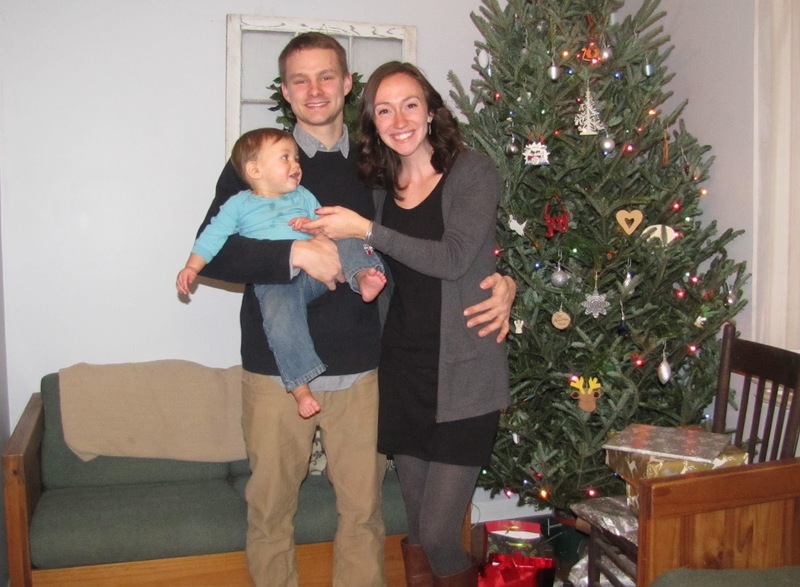 Doesn't every family Christmas pic need a shoe-less baby? I think so.